The last article in the continuing series on potential partner acquisition [Where the Women Are] suggested strongly a couple of things. Of course you want a person who shares a similar outlook on life and views of the big picture on such as ethics, morals and such. Those devout will find many blessings in church activities. For those so inclined colleges offer classes in a variety of topics. Attend a class and for certain your fellow students will have at least one thing in common, i.e. the class -- thus a shared passion. And passion can lead to, well, passion! Classes men should consider include not just Spanish, but sewing and cooking. One gathering spot for ladies is a sewing class. You'll be greatly outnumbered and goodness knows your boat will need cushion covers, window shades, canvas work and such. You might as well learn how to make them rather than paying extravagant amounts for them to be professionally made. Chatting about why you're taking the class is certain to arouse curiosity among the women. Trust me when I say you should not take a class in yoga. You won't look debonair nor suave and, well, it's not a place to impress the ladies. Gyms are about the same -- you'll be surrounded by 20-something Twinkies in fine physical shape, and well, unless you're the stand-in for Adonis, there's bound to be a 20-something fellow to catch her eye. That said, a culinary class will teach you how to prepare feasts and you'll again be surrounded by women. Women want to know how to please as one way to a man's heart is through his stomach. Plus she'll be able to cook and that's always a bonus. Additionally, there's a lot good to be said for a man who knows his way around a galley. valuable lesson. The smoke alarm works. A foreign language class in Spanish for those of us heading toward the Caribbean can lead to many possibilities and friendships. After class sharing a coffee is always a good thing. There are several reasons why stopping for a cup of java with a classmate is just about perfect. From a budgetary standpoint, coffee isn't costly. Because the coffee will be drunk in a relatively short period of time you don't have to worry about a deep conversation. And if things are going well, exchange phone numbers and you're set. 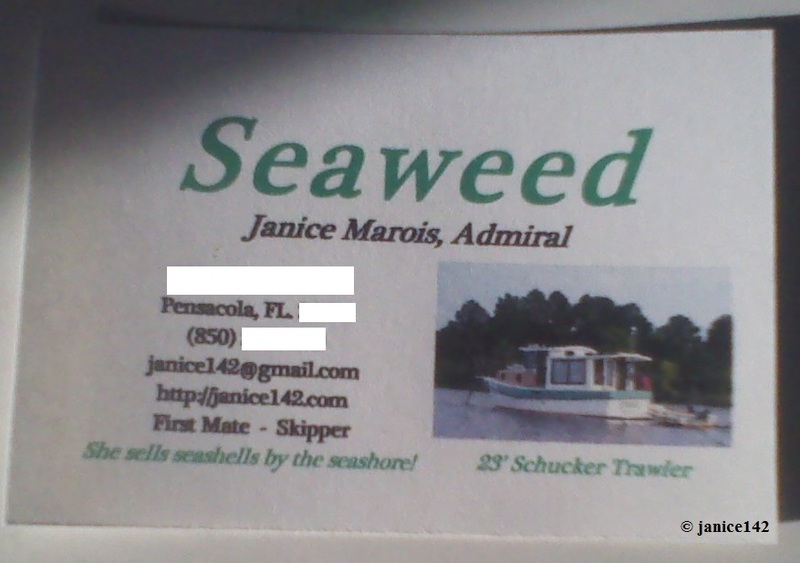 Speaking of phone numbers, you absolutely NEED a boat card at this point. 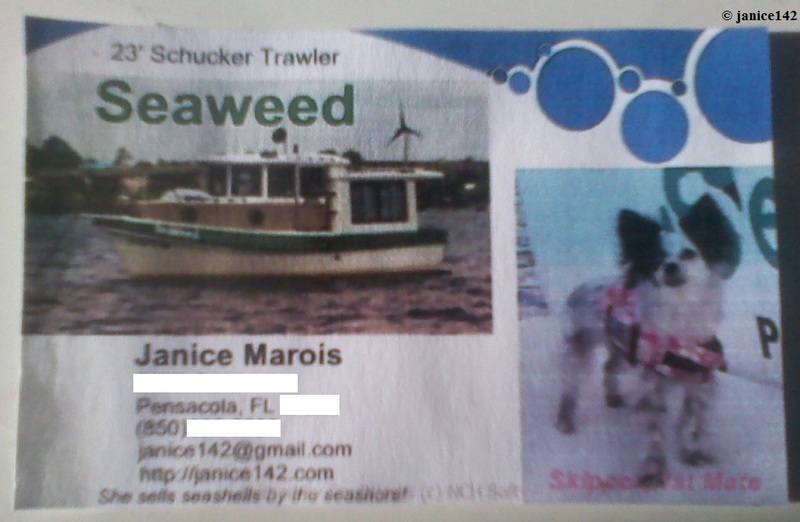 Boat cards (otherwise known in the dirt-dwelling world as business cards) contain things you'd wish to share with fellow boaters. As you can see, boat cards come in many formats. Mine all feature the boat as I'm quite certain that's the most fascinating part for folks. There were just six of these mini-trawlers built back in the early 80's and as I understand it only three remain. Boat folks quite naturally have some curiosity about unusual boats. Plus of course my crew is there -- Skipper is quite the boat dog. 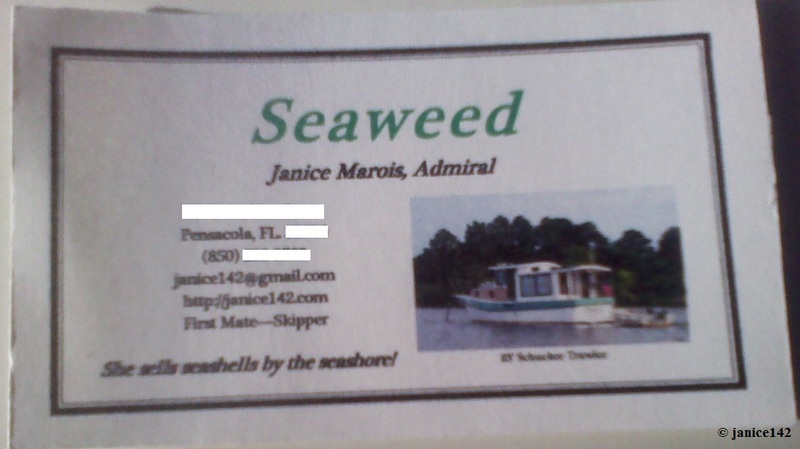 On a few of the cards her picture is featured and folks with pets always get a card with my Deck Swabbie, aka First Mate Skipper. Still your boat card is a way to differentiate yourself from the average Joe on the streets. You're living (or preparing to live) a life that others only dream about. A gal getting a boat card is certainly going to be intrigued. She'll think you're made of money and will expect more in the future (unless your finances are such that you can swing it) and still I will advise not to do so, yet. You'll want a gal who wants you for yourself, not the thickness of your wallet. If she's less accustomed to the more exclusive spots, that's probably not a great thing for the conversation to flow and you do want to get to know her. Besides, you'll want to later impress her and if you've gone all out from the first how can you top that? Diners -- real ones, not the chain restaurant-diners, are your best bet. Your choice will show you're not boring and willing to experiment to discover those out of the way places that real folks habituate. Ladies with our own boats could if we so desired find fellows with relative ease. The simplest place boaters are is the local marine hardware store but most likely they'll be owners of the little center console boats versus cruisers. A better place would be a class in celestial navigation or engine mechanics. Fellows like to show off their skills and will definitely want to know more about your boat and you. If you're so inclined that is. Of course weeding the wheat from the chaff is a challenge. Some men seem to think coming on like a bulldozer is a good thing. Others are so obtuse we're left clueless as to if you're interested. Men are a confusing species. not to be understood. Oscar Wilde. And where do you cruising fellows meet the ladies? This works for both genders incidentally. Pull into a nice marina and nearby you'll find a breakfast and lunch diner. Go every day, have coffee and wait for an interesting individual to arrive. I've heard from reliable sources that working women take lunch in diners along the waterfront to admire the boats, and since you've got one of them...! Ditto too the men who dream of one day sailing off. The great thing is the other person is comfortable there and when folks aren't nervous it's easier to chat and make the connection that may lead to a full-blown Something. Asking questions is a good start -- most people like to talk about themselves but do be sure you don't turn into an inquisitor! Nor should you tell your entire life story (leave out the broken romances at this point) but do share your plans for cruising. Also, though you may be planning to sail around the world please focus on short term goals such as going to a near-by place dolphin are known to frequent, or perhaps a beach a few miles up the coast where seashells are in abundance. If the fishing is purported to be superb nearby tell her you'd like to go there. Short term goals versus long are a far better/more realistic sounding than the dreams of some distant future. Otherwise you sound like either a braggart or a blowhard -- neither are appealing. Most women like the familiar and if you're talking about sailing far away from shore she's naturally going to worry. So start small and, just like Redd in the Travelers Met article, acclimate your intended to the positive aspects of your life. Did the partner come before or after the boat? A favorite aphorism: If women have excessive belly fat and a muffin-top, it can be fatal. Especially if you mention it to her. Jay Leno.